Did you have a dark black asphalt driveway at one time? Has your asphalt lost that rich black color and now looks dull and gray? Does the water no longer bead up on the surface? Are you finding cracks and pot holes as a result of the asphalt breaking down and becoming brittle? Can you imagine what is happening 'under' the surface? If you said YES to any of the above questions, you need to crack fill and seal coat your property. Crackfilling (or crack sealing) will repair any cracks before you sealcoat. Sealcoating will beautify your property, as well as, provide it with the benefits of protection and restoration. The best advice for every asphalt driveway owner is to establish an asphalt maintenance program. We will recommend how often you need to reapply sealer and also assess what kinds of repairs are needed. 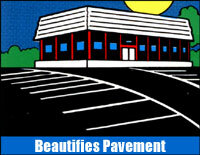 The sealcoat services are necessary to maintain the flexible protective barrier. The other repairs will try to protect water from getting under the driveways and causing more extensive damage. Seal coating protects from CHEMICALS. Asphalt seal coating protects the asphalt from the gas and oils that would otherwise penetrate the surface and soften the asphalt. 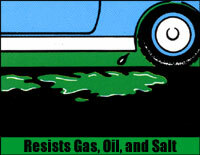 The sealer provides a barrier to these chemicals and slows the breaking down of the asphalt binder. Seal coating prevents OXIDATION. Asphalt seal coating will protect the asphalt from oxidation caused by the sun. 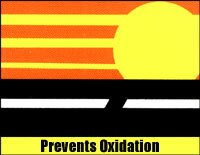 The oxidation from the sun causes the binder in the asphalt to break down and become brittle. The sealer provides a barrier to the sun and slows this deterioration. Seal coating protects from WEATHER. 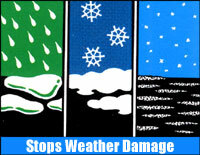 Asphalt seal coating provides protection for the asphalt from weather such as rain, frost and ice. As the chemicals soften the asphalt and the oxidation causes the asphalt to become brittle, cracks will form in the asphalt. Without protection, moisture will get to the underlying support structure and cause base erosion. Left untreated, the freeze thaw cycle will ultimately cause pavement failure. Seal coating protects your WALLET. Properly cleaning your asphalt pavement, properly cleaning and filling cracks that have formed on your lot and then properly applying sealcoating can double the lifetime of your asphalt paving lot. The sky rocketing cost of materials to repair and replace an asphalt lot will cause you to evaluate any procrastination you might still have in seal coating. Give us a call and we will devise a seal coating plan that will work for you! Quality Products: American Spray Tech uses SealMaster® sealer for sealcoating. The sealer is mixed with water and sand per the manufacturer's specifications. American Spray Tech does not water down the product thinner than manufacturer's specifications. The sand provides traction for your family which makes it safer, especially when the surface is wet. The sand also makes the surface more skid resistant and establishes solids in the sealer. The additional solids help extend the life of the asphalt. Professional Preparation: Prior to sealcoating, the driveway is properly cleaned by wire broom and commercial grade blowers. Sealcoating Procedure: The property is then edged and sprayed with at least two coats of sealer, giving ample time between coats to dry. The driveway should be allowed to cure for 24 hrs before traffic is recommended. Whatever your need, you will have an aesthetically pleasing, fresh black driveway. Your investment in your driveway will be protected by one of the industries finest sealants. WHEN should I have my driveway sealed? New driveways should be resealed within six months to one year after your driveway is installed. This allows freshly the laid asphalt time to cure. It is then critical to the life of your new asphalt driveway to seal it with coal tar. Annual maintenance on your driveway will keep it looking great and minimize needed repairs. The black color will have faded as well as the beneficial qualities to the underlying asphalt. The dull gray color reflects a surface that has lost its protection factor. Another contributing factor is the amount of physical automotive traffic you experience on your driveway. WHY should I have my driveway sealed? (1) CURB APPEAL: A face lift to your driveway will improve the appearance of your property. Sealcoating will beautify your property, attract the passerby and give you the satisfaction that not only does your driveway look good, but it is being protected as well. (2) PROTECTION: Your asphalt driveway will degrade over time due to oils/chemicals from your vehicles, oxidation from the sun and affects of weather, such as the freeze/thaw cycle. By applying seal coat, we essentially put a barrier over the surface of your asphalt to protect it and in turn extend the life of the asphalt. (3) PREVENTION: A pavement maintenance program that includes routine crack filling (as cracks form) and periodic sealcoating will more than double the service life of your asphalt driveway. WHERE does AST perform driveway sealing? American Spray Tech performs residential services in most of the extended Triad area (Winston-Salem, Greensboro, High Point). 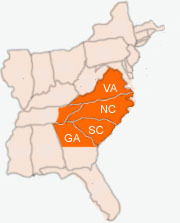 AST has crews ready to assist you in residential services for these regions of North Carolina. 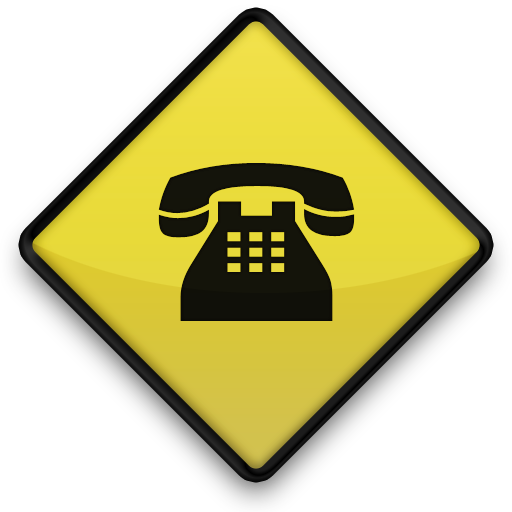 Contact us for a free estimate and to discuss your current asphalt maintenance program. Your maintenance program may involve seal coating, crack filling, asphalt repairs, parking lot striping and parking lot maintenance needs.